St. Andrew’s Church in Andreas. During the 1939 – 1945 war the original tower was reduced in height by about half because of the R.A.F airfield nearby (Click Here to see an old image of the Church with its taller tower). 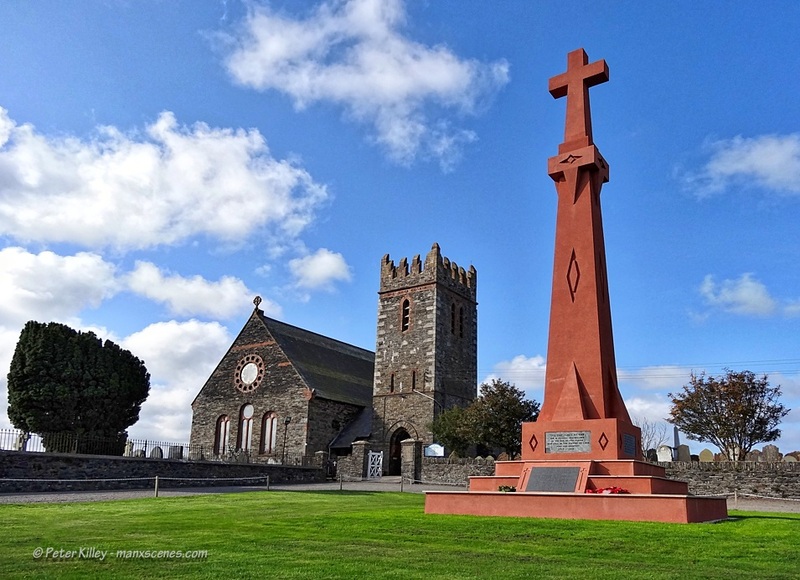 The war memorial has recently been renovated and it is now a terracotta colour.